After a couple of hours of TEMS Pocket walkaround measurements, wouldn’t it be nice to get a quick summary of how the testing went and a thumbnail sketch of service performance? 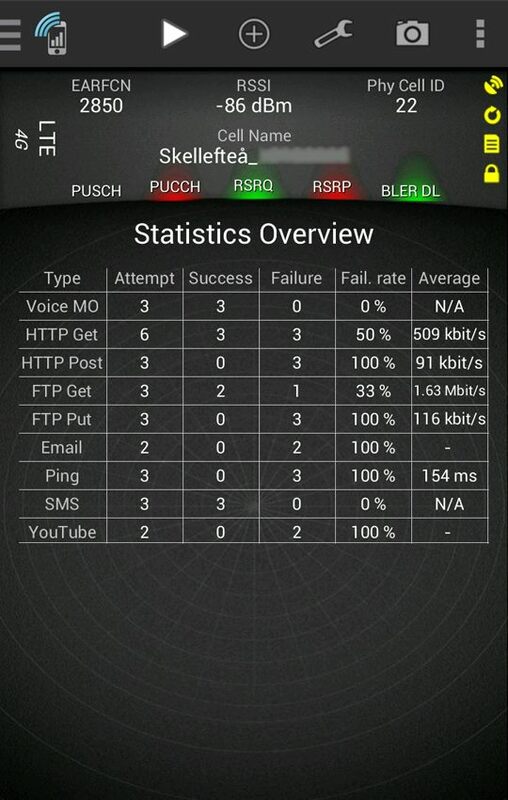 TEMS Pocket 14.3 provides exactly this on its new Statistics Overview screen. It shows, for each type of service (voice, FTP, and so on), the number of attempted, successful and failed sessions, the session success rate, and also a performance metric: average application-level throughput wherever this is relevant, and average round-trip time for Ping.